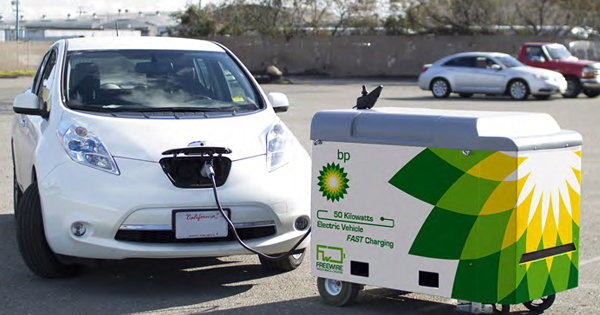 BP announced that its venturing business has invested $5 million in FreeWire Technologies Inc. (FreeWire), a US-based manufacturer of mobile electric vehicle (EV) rapid charging systems, and plans to roll out FreeWire’s Mobi Charger units for use at selected BP retail sites in the UK and Europe during 2018. BP is committed to supporting the transition to a lower carbon economy through focusing on reducing its own operational emissions, improving its products to enable customers to lower their emissions and generating low carbon businesses. BP Ventures supports each of these areas by identifying emerging trends and businesses, making strategic investments and testing technologies and solutions for their scalability. The investment in FreeWire is an example of how BP Ventures is working alongside BP’s Downstream business.